For Zeng Landscaping, the initial site visit and consultation allow us to become keenly acquainted with the client’s landscape needs. The experienced team at Zeng has the ability to envision the property’s potential in line with customer’s wishes. We incorporate the physical strengths, characteristics and limitations of a property. Over thirty years experience working with natural stone, timber framing and water features, along with our strong network of specialized trades offers Zeng a wide perspective on each project. Whether your project is large or small, we look forward to the unique challenges of customization. While similar materials may be used from project to project, we believe each one has its own unique characteristics. We strive to exceed client expectations, producing outstanding results with the client’s budget in mind. 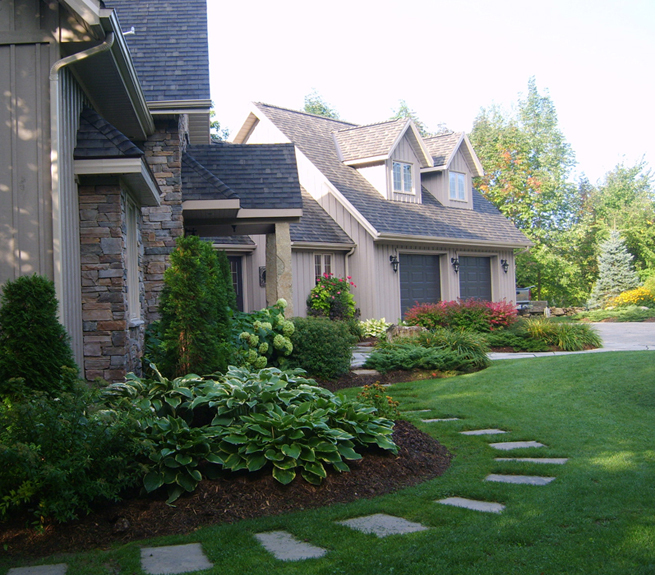 Our uncommon attention to detail, customer needs and the unique traits of each property makes Zeng Landscaping the best choice for your landscaping needs.